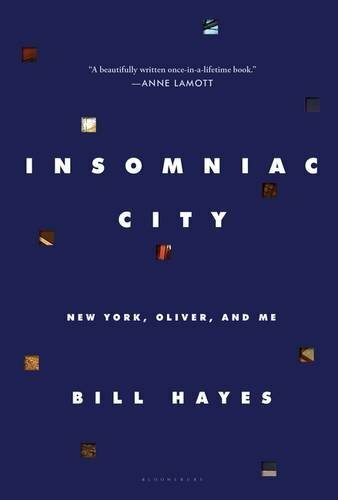 Bill Hayes came to New York City in 2009 with a one-way ticket and only the vaguest idea of how he would get by. But, at forty-eight years old, having spent decades in San Francisco, he craved change. Grieving over the death of his partner, he quickly discovered the profound consolations of the city’s incessant rhythms, the sight of the Empire State Building against the night sky, and New Yorkers themselves, kindred souls that Hayes, a lifelong insomniac, encountered on late-night strolls with his camera. And he unexpectedly fell in love again, with his friend and neighbor, the writer and neurologist Oliver Sacks, whose exuberance–“I don’t so much fear death as I do wasting life,” he tells Hayes early on–is captured in funny and touching vignettes throughout. What emerges is a portrait of Sacks at his most personal and endearing, from falling in love for the first time at age seventy-five to facing illness and death (Sacks died of cancer in August 2015). Insomniac City is both a meditation on grief and a celebration of life. Filled with Hayes’s distinctive street photos of everyday New Yorkers, the book is a love song to the city and to all who have felt the particular magic and solace it offers.